Remembering Sweet Boo | "A Place for Learning"
Today we are remembering Sweet Boo. 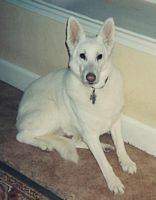 She was born on this day in 1990 and was a White German Shepherd that had been abandoned. We adopted her from our shelter years ago. We didn’t get her until she was 12 years old! I know, right? That’s old for a big dog. We brought her home in hopes of giving her nice couple of years. Instead, she gave us a nice couple of years. She was such a sweet girl. We are so grateful to have had time with her. As a tribute to Boo I would encourage anyone thinking of adopting a pet to consider a senior. Older pets need good homes and they are often the best pet to bring into a busy household because they don’t need housebreaking and training. They just need love and companionship….and they give all of that and more back to you. Think about it. So today we miss and celebrate sweet “Miss Boo- Bella Boobarina – Princess of Sweetness”! Such a nice remembrance! It seems our furry family never leaves our heart! Hugs! Thanks Barbara. She was such a sweetheart. 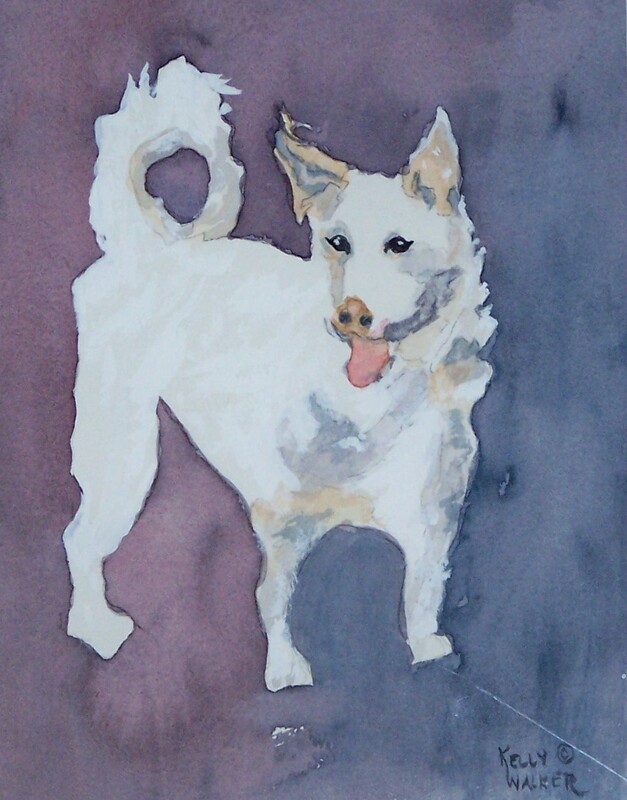 on October 25, 2015 at 7:56 am | Reply Susan M.
Beautiful dog, beautiful paintings. Thanks so much for sharing him with us! Thanks. She was a joy!